The United States military has conducted air strikes against the Islamic State of Iraq and the Levant near Irbil and Iraq's largest dam in an effort to help Kurdish forces retake it from violent extremists. These strikes were carried out under the authority to support humanitarian efforts in Iraq, as well as to protect US personnel and facilities, it added. 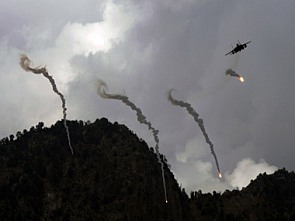 "The nine airstrikes conducted thus far destroyed or damaged four armoured personnel carriers, seven armed vehicles, two Humvees and an armoured vehicle," the US Central Command said adding that all aircraft exited the strike areas safely.